Few weeks ago I found four balls of Katia Arte yarn from my yarns stash. I was supousted to knit (years ago) a summer top for me. For some reason I never did. Now I have used those yarns to a crochet summer top! Easy and simple, double crochet stitch all the way with 3.5 mm hook. This was very educational project, again. I even took measurements and made a swatch to get the right gauge. I calculated that I need to do 90 stitches to both pieces (front and back). Then I started to crochet like a maniac :) One piece took about two balls of yarn. 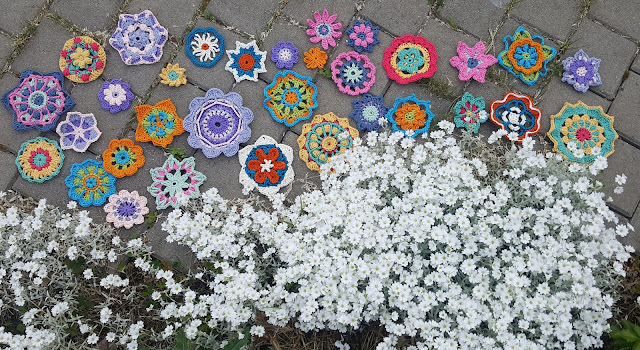 I have been making these flowers since 1st of January. You may have come across with these in the Instagram. Emily from the Loopy Stitch came up this idea it the beginning of the year. 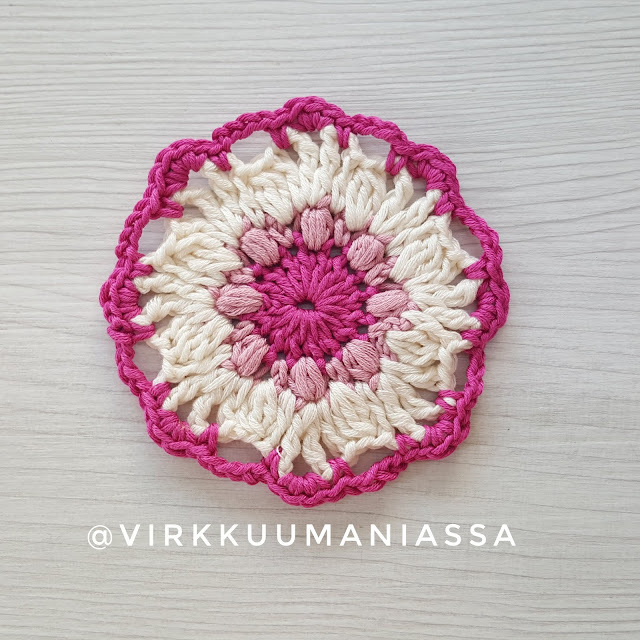 This is the #365daysofcrochetflowers. Pattern to flowers 1-91 can be found from Emily´s blog (link above) and flowers on 92- can be found from Instagram @thecrochethookup and from Facebook. Here are the Darling Buds of May!